A European capital full of Art Nouveau buildings, but I’m not talking about Paris. This city is also jam-packed with hipster coffee shops and street art, but I’m not talking about Berlin either. 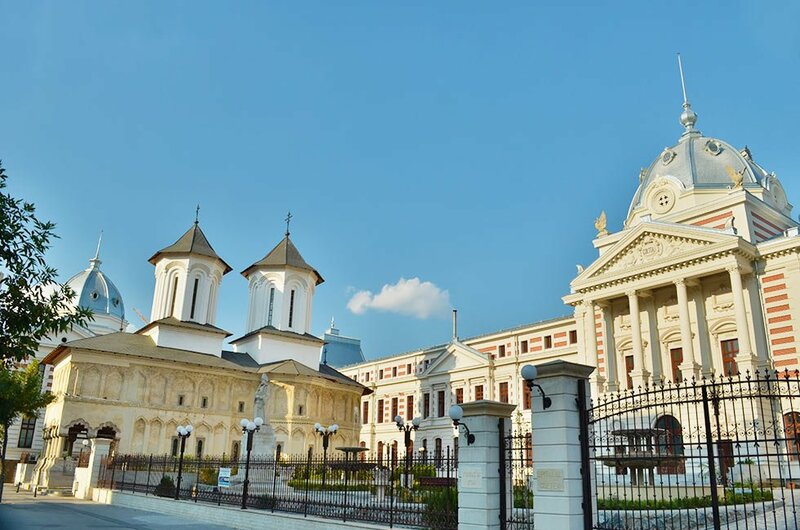 Bucharest city has this interesting mix of classical French architecture, street art resembling the German capital, and Soviet buildings, predominant in Eastern Europe, which gave the town two nicknames: Bucharest Little Paris and Bucharest New Berlin. When I first googled about Bucharest, I read the same question on a lot of websites: is Bucharest the little Paris or the new Berlin? And even after being there, I don’t know the answer to this question. I’ll let you decide for yourself. 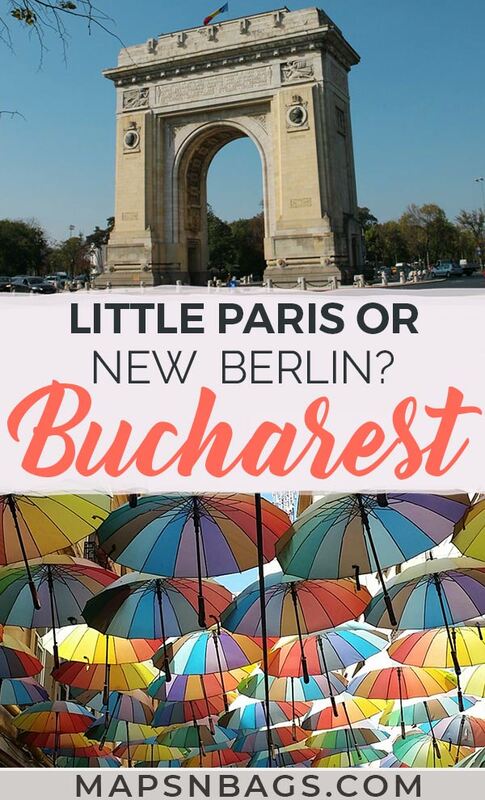 If you’re heading to Bucharest and want to know where to find these places which resemble the French and German capitals, check out my tips & map below. Back in the 19th-century, the young sons of Russian royal families would go to Western Europe to study and bring their influence back home, especially the French culture and ideas. Bucharest was quickly being influenced in different aspects, such as in arts, fashion, architecture, and political beliefs. As the years passed, the French culture and language became more important in the Romanian society, and plenty of its buildings were even designed by French architects. Such influence in the architecture can also be seen in other cities worldwide, like Buenos Aires, Chicago, New York, Rio de Janeiro, etc. Like I said above, there are plenty of buildings from late 19th-century throughout the Romanian capital where you can see the French influence. It’s a mix of the Art Nouveau style and the Soviet single-blocks that makes Bucharest the little Paris. I’ve listed the most famous of those constructions and areas below. 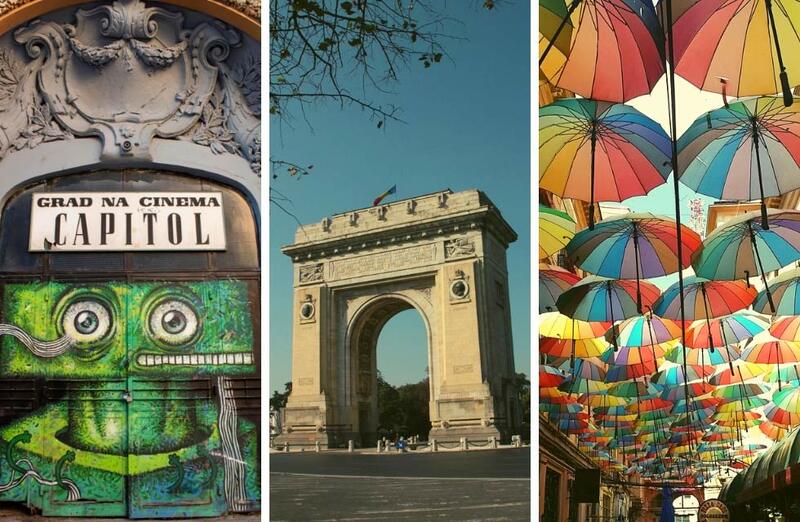 Bucharest Old Town isn’t big, so you can visit most attractions of this little Paris on foot. You’ll notice that the city center is obviously designed after the French architecture. Mainly because of its highly decorated buildings and cobbled streets. However, you shouldn’t expect to see a well-cared city like Paris as Romania suffered a lot in the Communist’s hands until they overthrown Nicolae Ceaușescu in 1989. Lipscani is one of the streets where you can see the classical French architecture all along it. The National Bank of Romania and the famous Carturesti Carusel bookstore are in this street. Both worth the visit! Next to the National Bank, you’ll find the Passage Macca-Villacrosse. 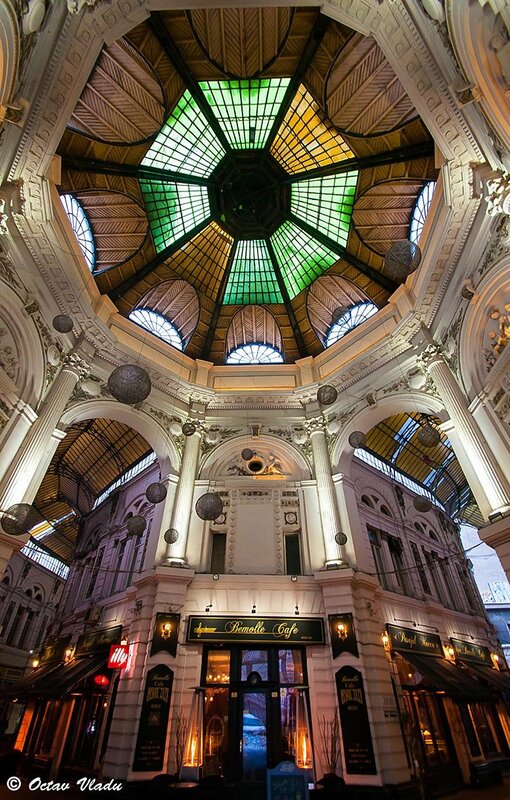 This beautiful passage houses cozy cafes and bistros in fork-shaped streets, a must-see in Bucharest. The charming Calea Victoriei is a major avenue in the city center that has plenty of French looking museums and buildings. The CEC Palace, also in this avenue, was designed by a French architect. Oh, take a look at the street name’s signs, they’re exactly like the ones in Paris: dark blue with a green border. 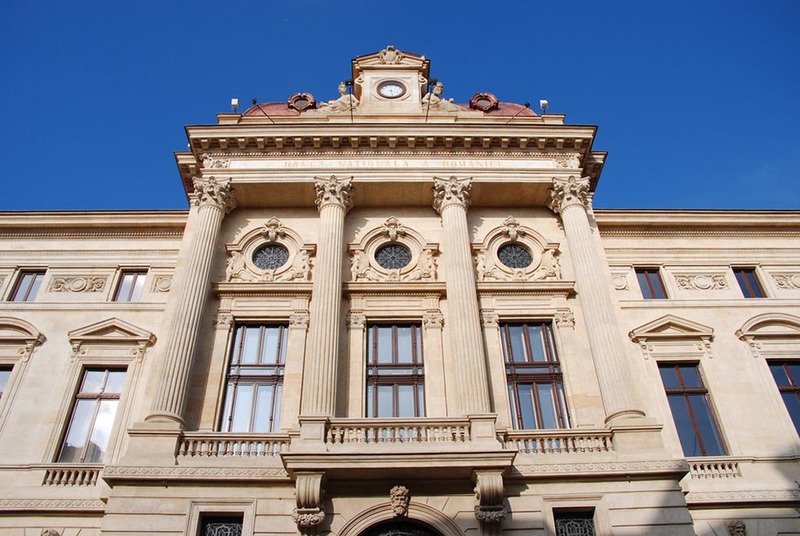 On the corner of the Elisabeta Boulevard, lies the Officers’ Circle Palace. This is an undeniable example of this influence because of its neoclassical French architecture. On the left side of this palace is the recently restored Grand Hotel du Boulevard, one of the oldest hotels in the city and the first Bucharest hotel equipped with running water in the rooms. Named after Romania’s first queen, this is the cultural avenue of Bucharest. It has theaters, movie theaters, a university, and bookstores, which also resemble many aspects of French architecture. Not really on this avenue, but nearby, you can find the neoclassical-styled Colțea Hospital, built in 1704. This was the first hospital of Bucharest. Designed by a French architect (yes, again! ), this library was built at the end of the 19th-century but had to be renovated due to a fire started during the Romanian Revolution of 1989. The library was later reopened in 2001. Right in front of the building, you can see the statue of King Carol I, a cold-hearted man, but who led the country to its independence. He built the gorgeous Peles Castle, one of the biggest attractions of Romania. Pssst: I’m not going into the merit if the king was good or not, because I’m not a specialist in Romanian history, but those are some of the facts. 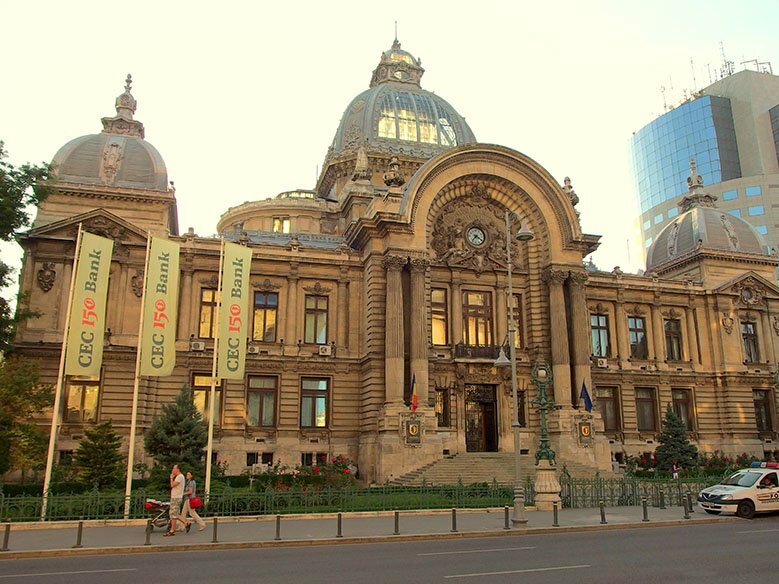 Across the street, you’ll find the Royal Palace of Bucharest and the National Museum of Art of Romania. Needless to explain how the French influenced this, right? 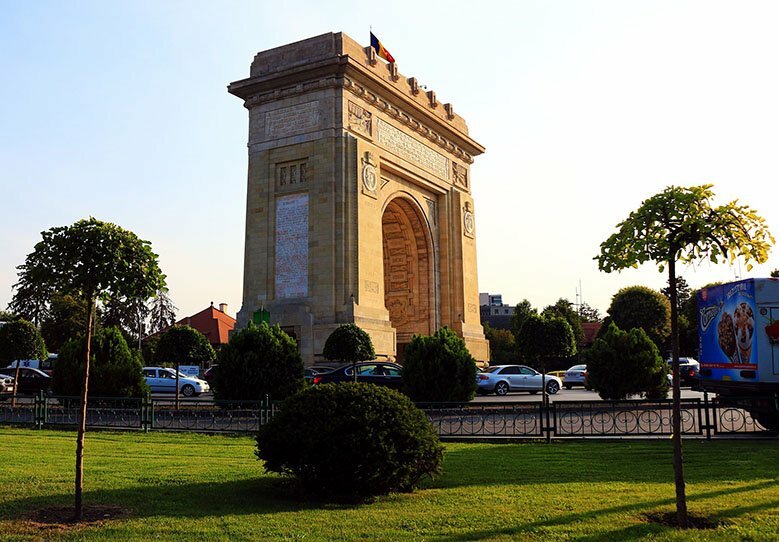 This triumphal arch isn’t the first in Bucharest, though. The first one was made of wood, and it needed to be completed in a rush because they wanted the victorious soldiers to march under it when Romania gained its independence in 1878. Impressive and gorgeous! Those were my first thoughts when I saw the Athenaeum. The beautiful facade is adorned with mosaics of five Romanian rulers. This 19-century concert hall was designed by a…guess! Yep, a French architect. 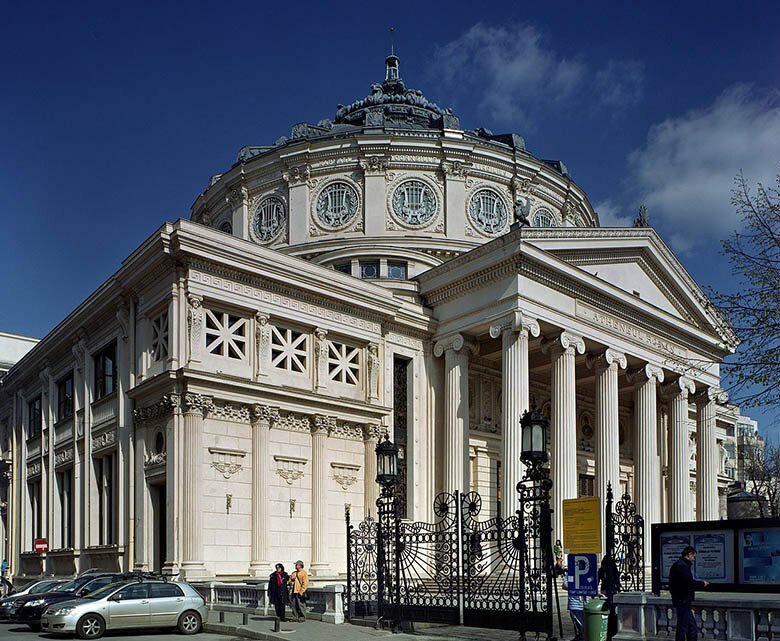 The building really is a gem of Bucharest and if you have the opportunity, go inside to see the marble halls, deluxe rooms, and the painted scenes from Romanian history on the walls of this neo-classic building. 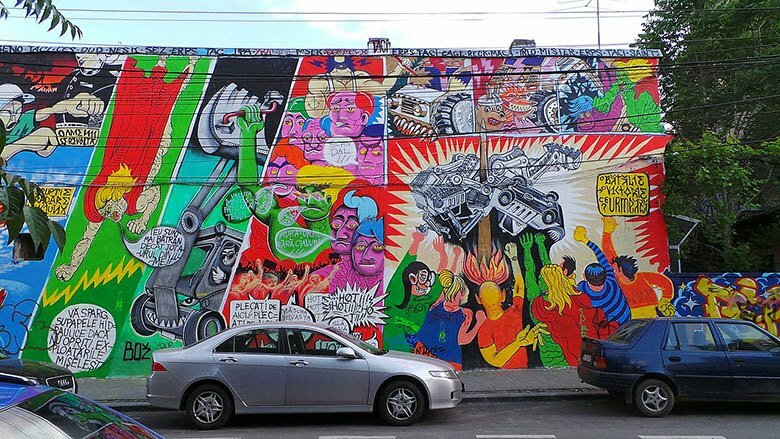 There are many street art and Instagram-friendly spots throughout the city as well as hipster cafes and clubs. I’ll point out the highlights in this post, but if you want to have a deeper experience of the alternative side of Bucharest, I highly recommend you take this walking tour. They take you to visit abandoned places as well as many street art spots (also hidden ones) in Bucharest. Pickup and dropoff, drinks and snacks, a few entrances, and a bunch of insider tips are included in this 3h5-hour walking tour. It used to be a famous open-air theatre, but it became state property during the communism in Romania. After an earthquake in 1977, the place suffered a lot of damage and, combined with the abandonment by the government, the Summer Theatre Capitol is on the edge of the destruction. 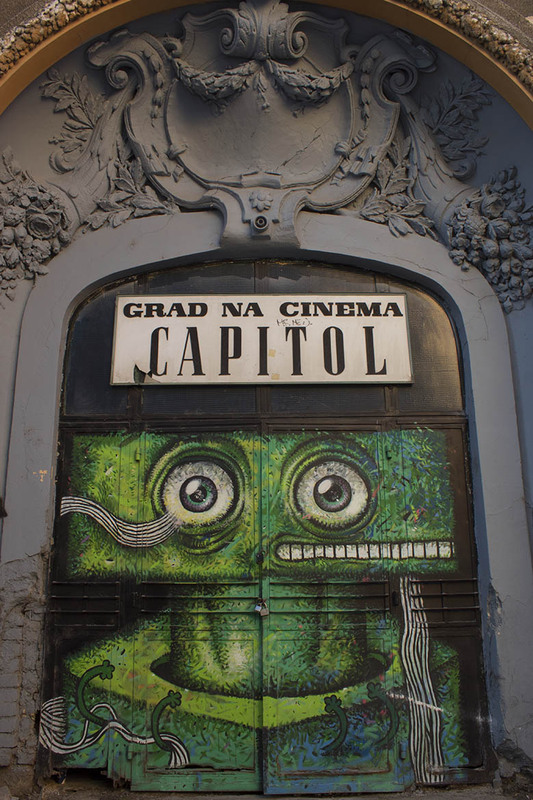 The green graffiti on its doors were intended to bring awareness to this traditional place of the Romanian culture and maybe get it reopened. What once was a garage building, today is an abandoned construction which houses the best graffiti’s in town. Ciclop garage is almost a centenary building, but it has a vast and colorful mural together with smaller works of art in the halls. A must-see in this alternative route. Also, close to this former garage is the Arthur Verona Street. Another hot spot for graffiti and street art. Charming hidden place, but well-known on Instagram, the Victoria Passage is an interesting alley with a hipster atmosphere, a la Berlin. 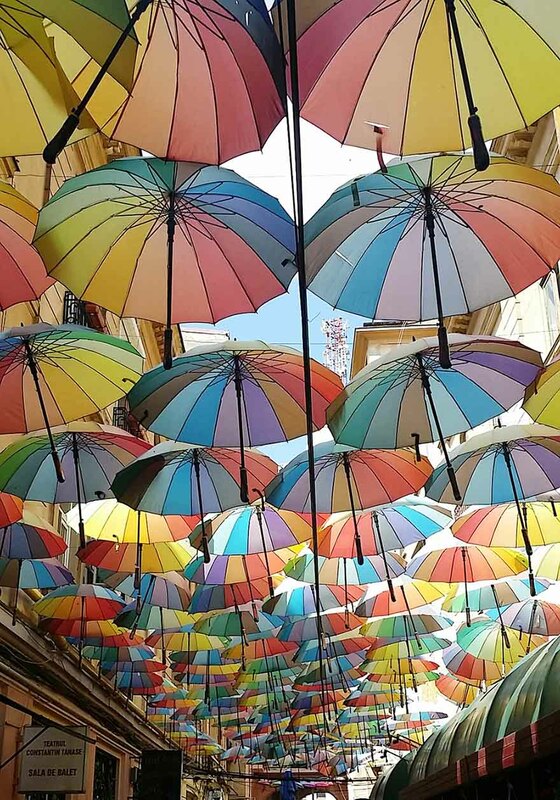 The passage is covered with many colorful umbrellas that attract a bunch of tourists every day. There are a few restaurants and bars in this passage for a stop to reload your energy. Next to the Victoria passage, you’ll find the English passage. It used to be a hotel, but it closed its doors due to the opening of better hotels in the surrounding area. The place was transformed into a luxury brothel, which was also closed when the communists took power in Romania and turned it into apartments. Today, people still live there, but it has this underground appearance as the place has never been renovated. It’s an old factory transformed into a bar. Awesome place to chill out while having some cocktails or beers. There are nice graffiti on the walls surrounding the terrace. It’s definitely another must-see if you’re into alternative culture, but don’t expect something fancy as this is an underground club. Following the German influence, this club plays electronic music at the sound of different DJs during the night, but it’s also open during the day if you’re looking for a place to have a brunch or so. This might be the most hipster place in town. There is an outdoor area equipped with heating for the winter nights. 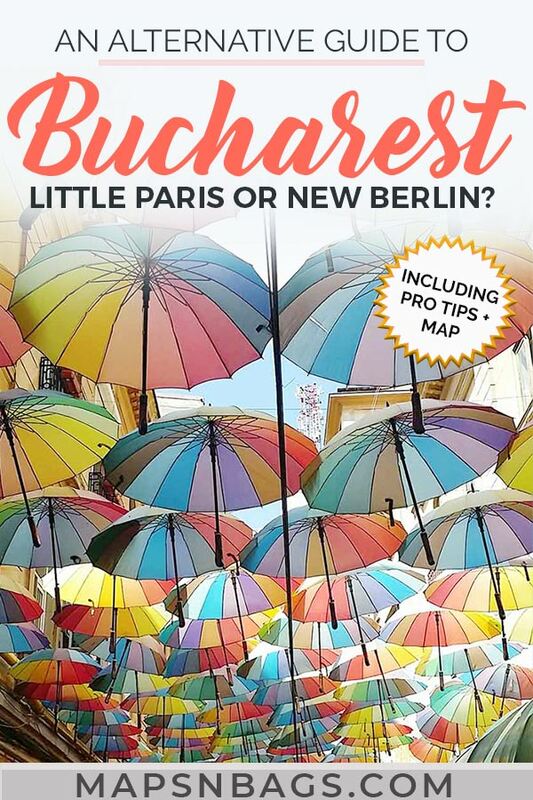 Now that you have learned more about the city, please tell me, is Bucharest the little Paris of the new Berlin, in your opinion? And if you need help finding accommodation in Bucharest, check out Booking.com, I highly recommend them! When I went to Bucharest, I stayed at the Elisabeta K+K, which I give a little review at the end of this post. Spread the word! Pin this post to your Pinterest Travel Boards! 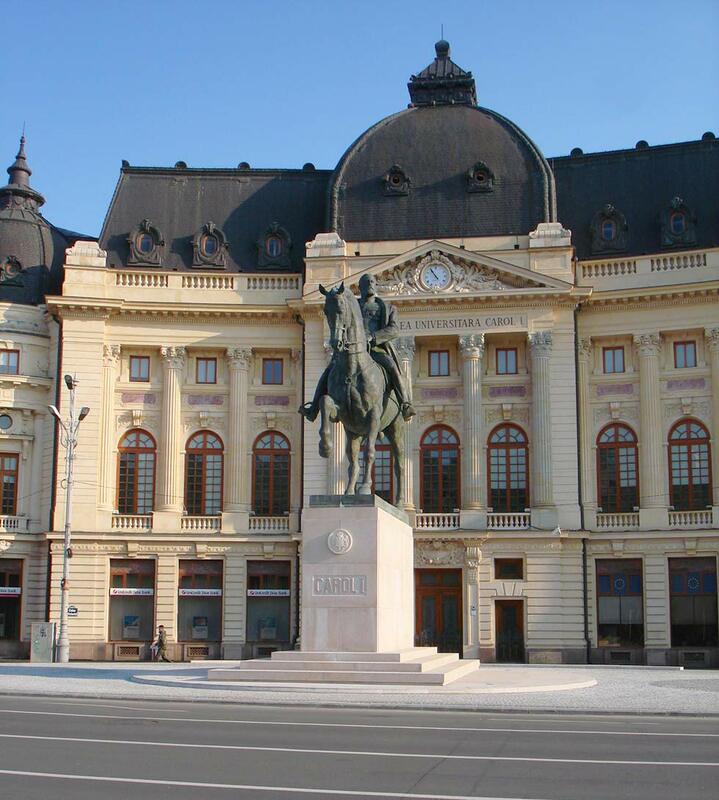 This entry was posted in Romania and tagged Citytrip, Culture.